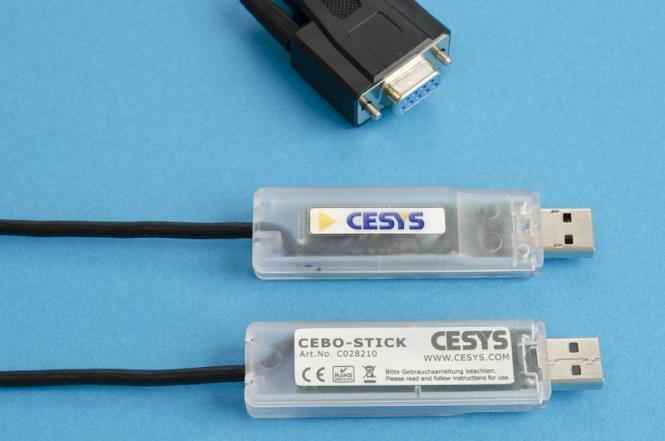 The smallest USB measurement laboratory from Cesys fits into any notebook bag. This is ideal for workshop, laboratory and training. 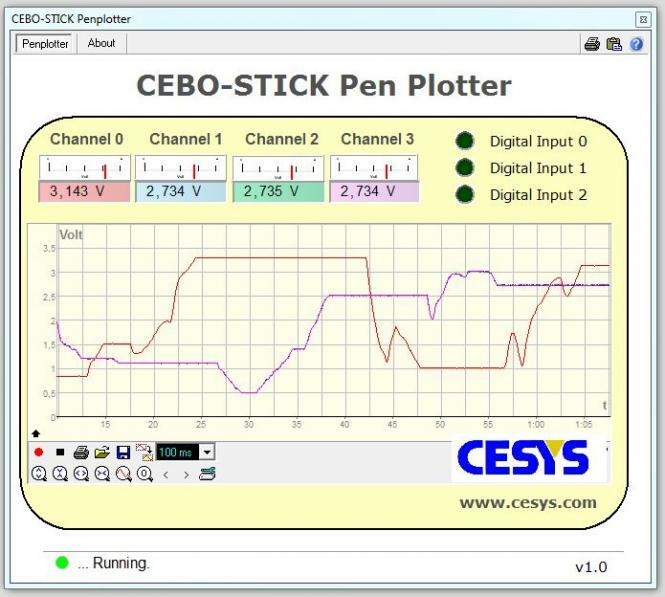 With the CEBO-STICK, machines, experimental setups and devices can be monitored and controlled by a PC. 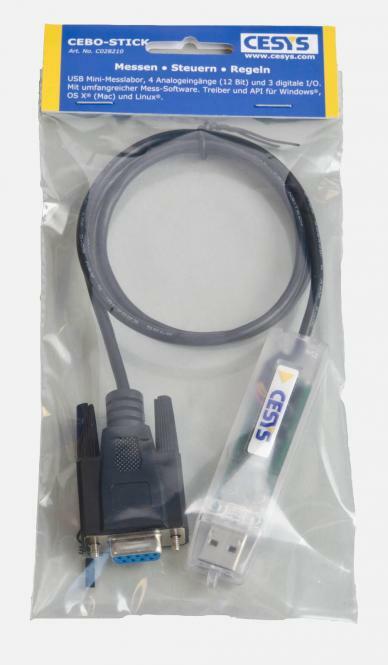 Four calibrated analog inputs, 3 digital I/O signals, + 5Volt and GND are available at the 9-pin DSUB connector. 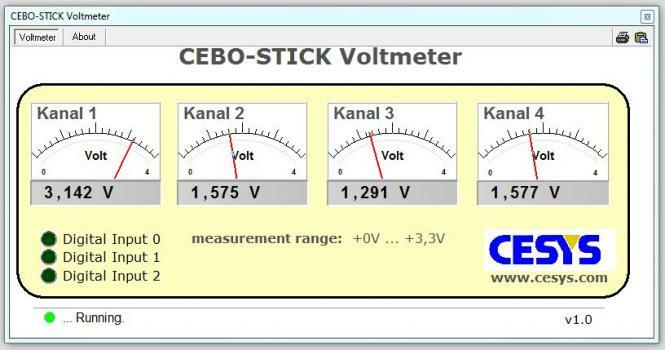 The measuring range is from 0 to 3.3 volts. The A/D-conversion has 12 bits, corresponding to a resolution of 0,8 mV. The analog inputs are buffered by operational amplifiers and have a very high impedance. Therefore extended measuring ranges can be realized by connecting resistors as a voltage divider. total sampling rate 188 kSpS max. Single-channel sampling rate: 100 kSpS max. The three digital signals are individually configurable as input or output. 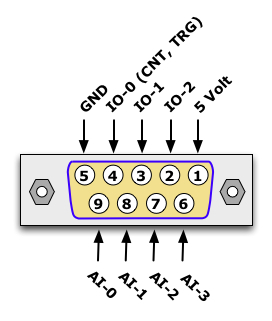 One of the digital signals can be configured as a counter input, trigger input or trigger output. Get started immediately without a line of code to write. Included are the Windows applications multi-channel voltmeter, chart recorder, data logger and others and a driver DLL for Profilab Expert. 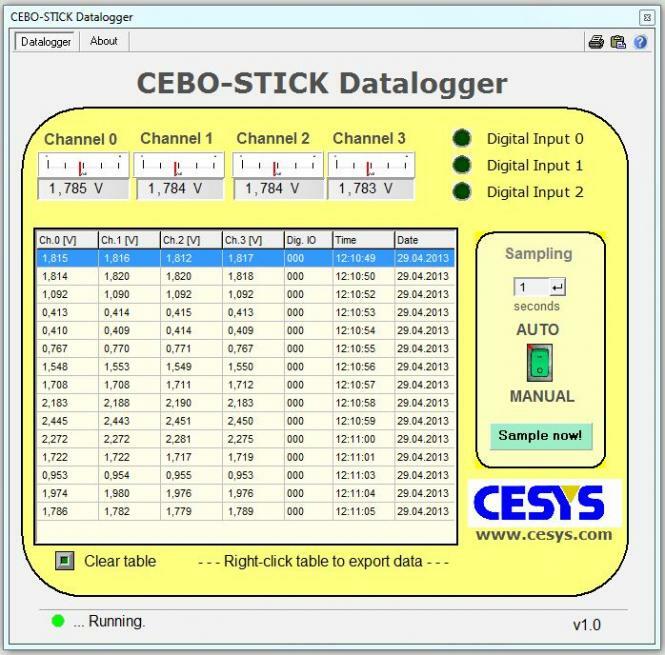 The application CEBOLab can be downloaded free of charge from the manufacturer and runs on Windows, Linux and OS X. 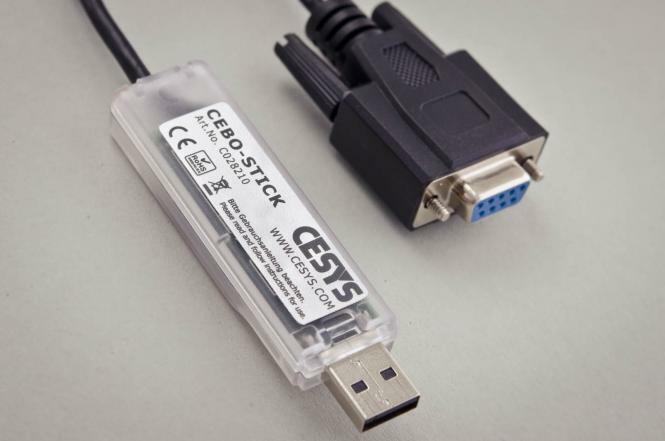 Also included are APIs for many common programming languages and Operating systems making CEBO-STICK usable not only on Windows but also on Linux and MAC OS X. A driver and API for Raspberry Pi is also available.